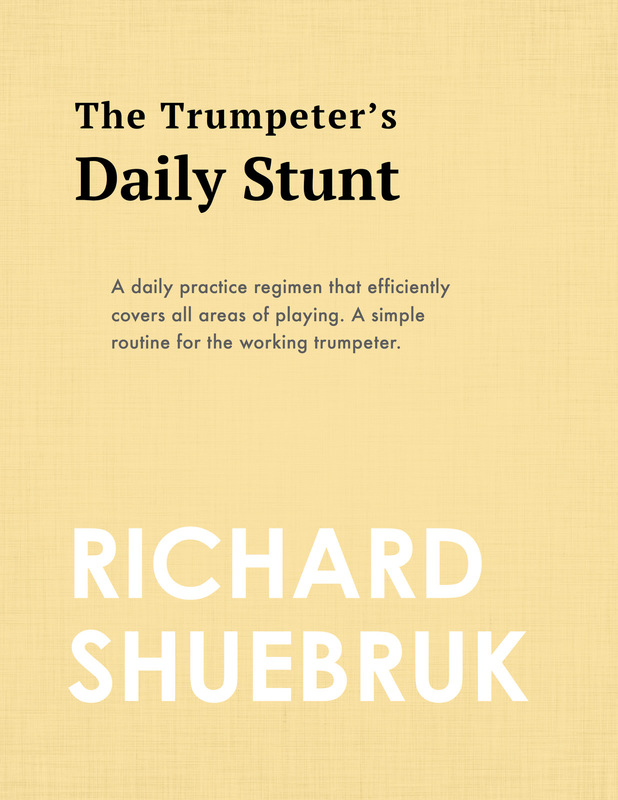 The Trumpeter’s Daily Stunt	by Shuebruk, R.
According to Richard Shuebruk, a working trumpeter needs from 15 to 20 minutes practice every day. I would argue that that first line shows the age of this book, but the next few lines are as solid today as they were back then. 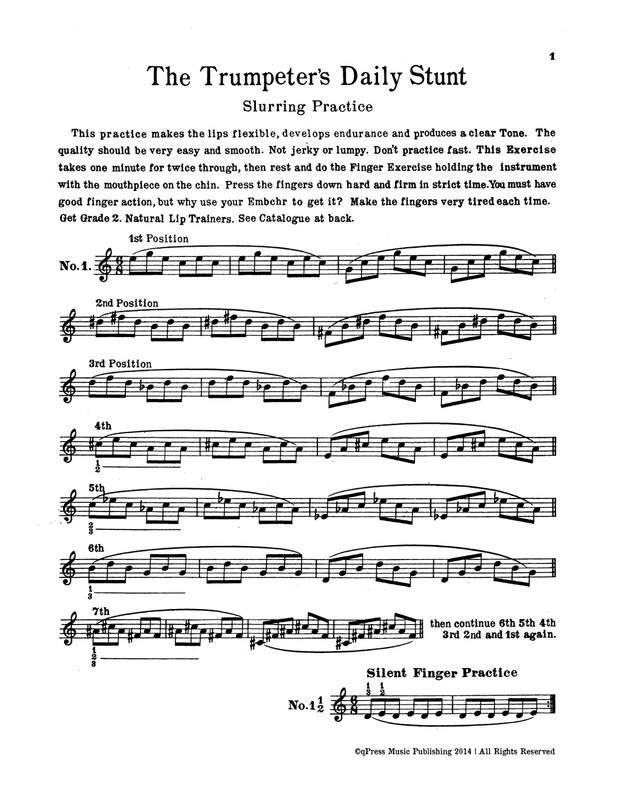 He suggests that all players need lip work, attach, intervals and slurring every day, along with tonguing and finger work to round it all off. I would say he is right, and this short routine can be thrown immediately into anyone’s daily practice to keep them honest. 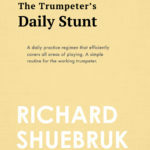 Check out his full forward to the left and grab a PDF download above.